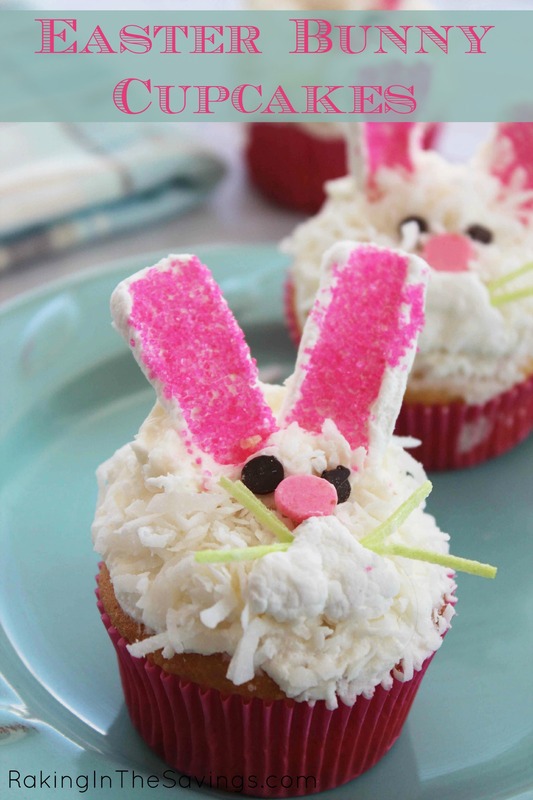 These Easter Bunny Cupcakes are sure to bring a smile to your face this year. Perfect for class parties, family gatherings and potlucks! I love using cake mixes as a base for a fun and unique cupcake. These Easter Bunny Cupcakes are a super fun way to make a simple yet tasty and adorable treat for Easter. Best part about this is that my kids can enjoy making it with me! Prepare your cake mix according to directions on the package. We chose a traditional white cake mix, but you could use a different flavor if prefered. While your cupcakes are baking, you can prep your icing and decorations. 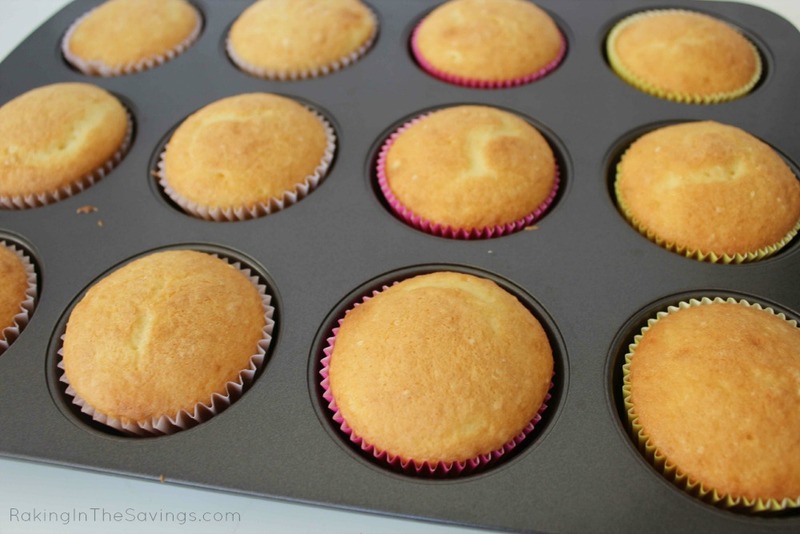 Once the cupcakes are ready to decorate, simply top with a little of the homemade icing. Next you get to have fun assembling he bunnies face on each cupcake. Prepping the giant marshmallows is something older kids will definitely love helping you with. Sparkling sugar is almost as much fun as glitter, and yes – it is equally as messy. Each cupcake will get marshmallow ears, edible grass whiskers and candy eyes The shredded coconut makes perfect fur. Using kitchen shears, make cuts around the perimeter of the giant marshmallows. 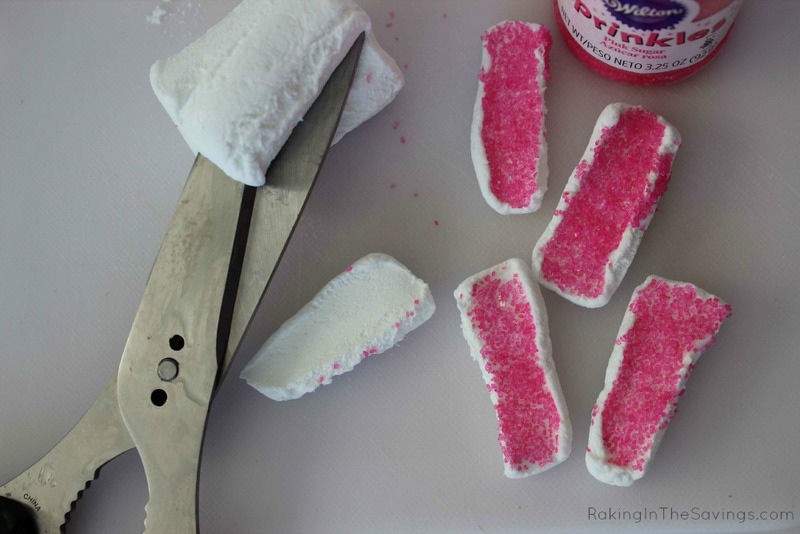 Sprinkle the cut area with pink sugar to make inside of ears. Repeat until you have 48 ears. Make diagonal cuts around the ends of the marshmallows to make 24 muzzles for the bunnies. Cut Easter grass into 3/4" pieces and stick into muzzle to make whiskers. Ice cupcakes then sprinkle with coconut. Using icing, "glue" ears and muzzle on cupcake. Sprinkle exposed icing with coconut. Press pink "nose" into coconut and icing just above muzzle. Press mini chocolate chips into coconut and icing just above nose. These Easter Bunny Cupcakes are a great treat for surprising your kids with after lunch on Easter Sunday, or for packing up and taking to their school class parties. With tons of great options for colored sugars, you can make them pink, yellow, green, blue and even orange. Everyone will love these cupcakes and you’ll have happy kids who enjoyed helping you make them for their friends! 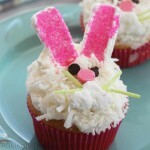 Fun and easy way to decorate cupcakes for Easter. Thanks for sharing on Merry Monday. 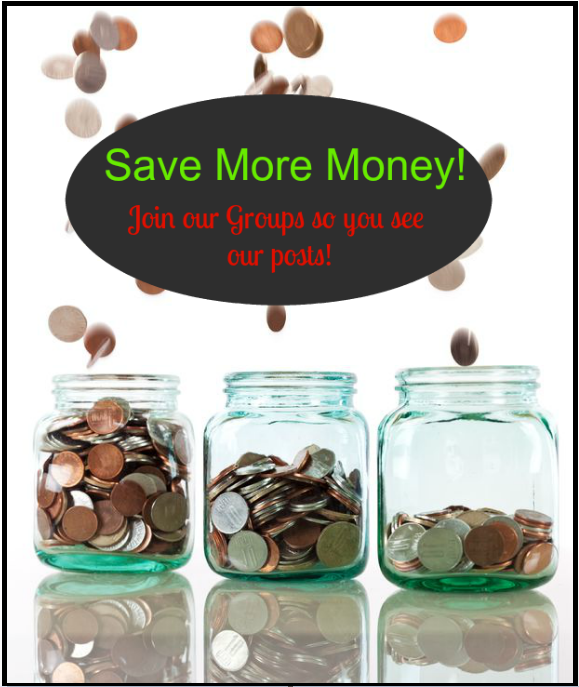 Next article: Sunday Coupon Insert Preview For 2/14/16!